Hello, my name is Rory and I am a teacher, pianist, and writer. I have a Master of Music degree in Piano Performance from the Royal Northern College of Music. I have taught at the University of Manchester where I am currently a recital accompanist. I have over a dozen years of experience teaching piano and music theory independently and in selected schools, and I mentor a number of professional piano teachers. I also teach students via video conference across the UK and as far as Scandinavia. I teach students of various ages and abilities: my students are between the ages of four and sixty, from beginner to professional level. I have received First Aid and NSPCC training, and I regularly attend CPD courses. Students learn on a well-maintained acoustic upright piano, and a grand piano is available for advanced students and for performances. Keyboard hire can also be arranged. Parents have a comfortable place to relax or work and observe the lesson: parking is free and convenient. The studio is a 10-minute walk from Levenshulme Train Station. Please take a look at my biography, or visit my site for more information. Feel free to contact me if you have any questions. Rory is a Master of Music graduate of the Royal Northern College of Music, and a First-Class Bachelor of Music graduate of Queen’s University Belfast, where he achieved the highest mark in his year. Rory studied piano under Dr. Murray McLachlan at the Royal Northern College of Music, and under Dr. Peter Tuite at the Royal Irish Academy of Music. He is a piano accompanist at the University of Manchester. 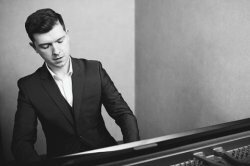 He has performed throughout the UK and Ireland as both a soloist and accompanist, and won a number of competitions, including the Joan Gavin Cup and Dina Copeman Cup at the Royal Irish Academy of Music. He has also received masterclasses from pianists including Peter Donohoe, Leon Fleisher, Peter Hill, Stephen Hough, Leslie Howard, and Fanny Waterman. 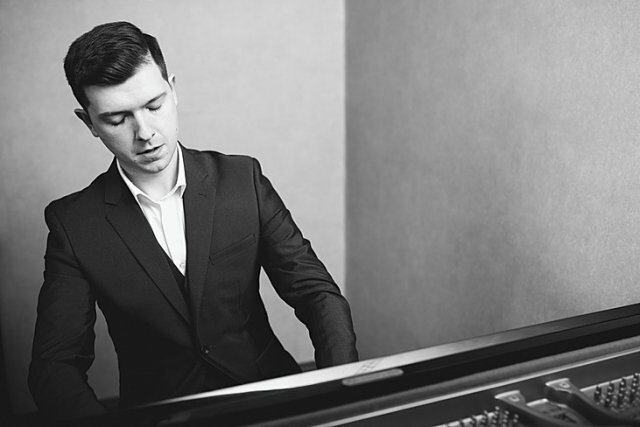 After the publication of his article, ‘Beethoven’s WoO 47 Piano Sonatas: Worthless or Invaluable?’ in Piano Professional journal, Rory was awarded a scholarship from the Arts and Humanities Research Council by the Royal Northern College of Music. He has also been awarded ‘Highly Commended in the Recognition of Academic Excellence’ by The Undergraduate Awards of Ireland and Northern Ireland. Having gained over a dozen years of teaching experience, Rory has taught piano and theory to pupils of various ages and abilities: from beginners to professionals, aged approximately four to sixty. Many of his students have achieved distinction level in examinations and won competitions. Rory has also taught courses on analysis, aural, and musicianship skills at the University of Manchester. I encourage each of my students to develop a life-long enjoyment of playing the piano. Students find personal achievement through progressive steps, developing confidence, and gaining independent learning skills. This can involve playing pieces the student enjoys as well as reaping the rewards from practising exercises, sight-reading, improvisation, composition, theory, and piano duos. Many students find a sense of achievement through setting regular goals and taking part in various performances including exams, music festivals, and informal gatherings - though some prefer to find this away from performing. Either way, we will find the best approach for you. RoryFrom Rachel (5/5): Rory is a wonderful piano teacher! I always wanted to learn to play the piano and finally gave it a try. I am so glad I did! As an adult beginner, our lessons can be challenging, but Rory keeps me at ease with his friendly and professional manner. He teaches all levels and all ages, which makes him able to adapt to any learning needs. The lessons are fast-paced, but I find them really engaging and enjoyable!